● Check out the Deals section in order to access Beyond Talk, Broadband2Go, and PayLo deals. Discounts vary greatly, but generally apply to specific featured items and range from 15% off iPhones to 20-25% off various PayLo phones. Note: discounts are subject to change at any time. ● Your Virgin Mobile phone may be returned for a full refund within 30 days of purchase, per the 30-day guarantee. You can also take advantage of a one-year warranty should your phone ever malfunction within that time frame. ● Take advantage of the Pass It On program in order to ensure that your old phone ends up in the hands of someone who needs it, rather than in the trash. Virgin Mobile is one of the many cell phone providers that gives customers the opportunity to buy their phones and their plans entirely online. You can find information about the company and why you should choose them as your provider. The shop includes payLo phones, Android phones, and iPhone models. If there are any promotions that they have available they will be displayed at the bottom of the website. Such as getting more data for a flat rate price, getting $50 off of select phones, and more. You can also log into your account on the Virgin Mobile website and work with your plan to add or eliminate features. 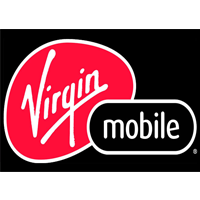 For most up to date offers check out Virgin Mobile on Facebook and Twitter or contact Virgin Mobile Support for any questions.